UNBRANDED Human Hair Silky Straight Single Piece Clip-Ins 18" BUY 3 for the Price of 1!! 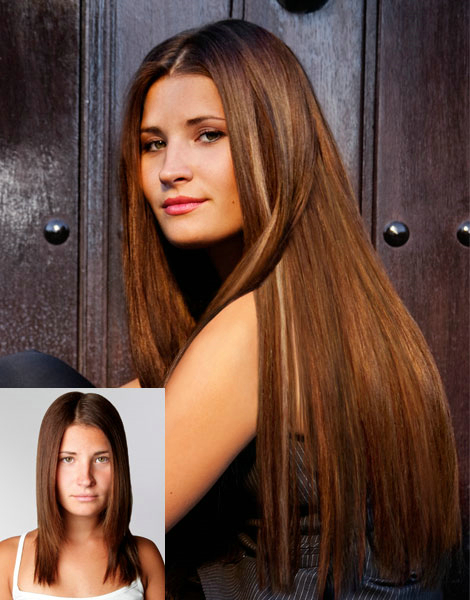 Made from ethically sourced 100% human hair these extensions will blend in naturally with your existing style. They are super easy to style and create the desired look in a matter of minutes. Just like natural hair they can be washed, straightened, blow dried or curled. Perfect for an instant makeover, or a fun night out - thin and fine hair can become thick and full, and short hair can be instantly transformed into long, luscious hair. These pieces are unbranded and we are offering 3 for the price of 1!